In recent years there has been a significant increase in the marriage of Libyan women to foreign nationals, especially with the rising number of migrants and asylum seekers crossing the Libyan territory. Almost a year ago, being aware of the rising phenomenon, the Supreme Judicial Council of Libya instructed the legislative and executive authorities to intervene by developing restrictive legislation of the marriage of Libyan women to foreigners. 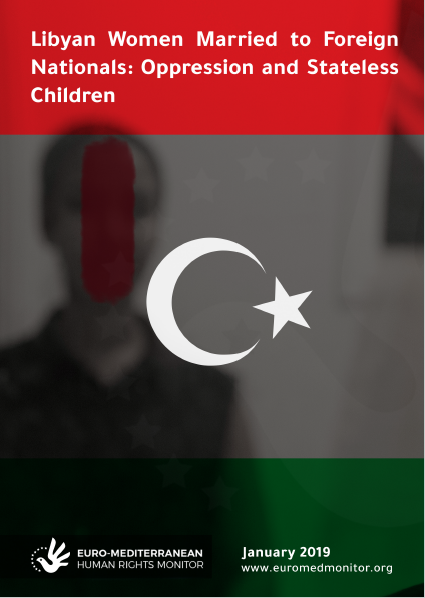 Justifying their move, the Council considered this marriage dangerous to the demographic composition of the Libyan society and a threat to the national security of the Libyan state. Even before this directive, Libyan women had never been given the right to choose their husbands under several legal and social restrictions. Over the years, the marriage of Libyan women to foreigners has been one of the most sensitive and complex issues in Libya, attracting a divergence of views within the state and the community alike. The structure of the tribal community has been reinforced as a result, citing cultural and social reasons for the sensitivity towards this kind of marriage.